Track 3 bess be 3rd Bass yo! New York City, 1994. Hip-hop music is just gathering momentum, not yet tainted by decades of hooked filled mediocrity perpetuated by various Kanyes, Eminems and Mr i.Ams. Also apparently a time where the new Mayor of NYC was trying to clean up the streets, imposing harsh penalties for graffiti artists and drug dealers and such ne’er-do-wells. All the kids talk like idiots, ‘Yo what up? It’s mad hot yo!’ And I’m not saying this because the kids in this film are white, I’m saying it because it sounds idiotic, and I was a teenager when this was set. Luke is a bright young white kid, infatuated by this new music and full of trepidation as to what his future might hold as he enters the post high school graduation malaise. His parents don’t help, they seem less mature than he is and half as capable. Luke isn’t just cooling his heels until college though, he has a thriving garage dope dealing operation, peddling his wares through the city under the guise of an ice-cream salesman, he has a cart and everything. Strangely enough no-one ever stops him to ask for ice-cream at any stage. One of Luke’s many regular customers is psychologist Dr Squires (Ben Kingsley), an intelligent adult who seems to resent this very fact. Luke trades Squires dope for advice, and Squires passes on such nuggets of wisdom as “You’re not depressed, you’re sad”, and “You need to get laid”. But he doesn’t end there, it seems Squires is similarly disenchanted with his lot. He and his wife (Famke Janssen) pretty much lead separate lives in the same house, and his step-daughter almost pities him for his constant drug use and inability to handle real life. Luke is insecure. Squires is insecure. Neither have friends, so they start hanging with each other, where they make a mismatched but somehow sweet pair. 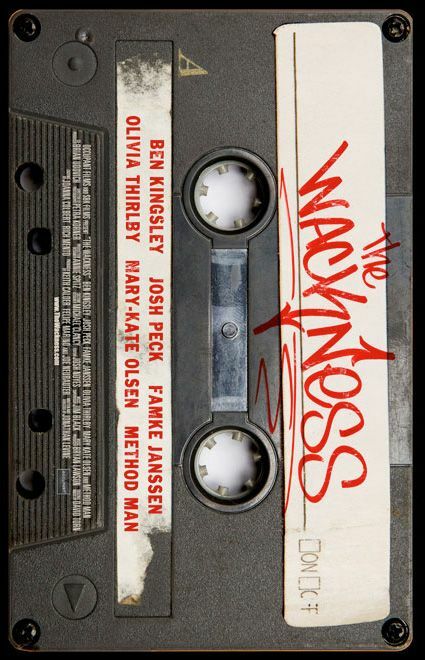 The Wackness is a coming of age film. The tale of one summer spent growing up and learning about real life, love and relationships. It pans out in many predictable ways, but with a few twists that might not be groundbreaking, but are refreshing. The issue I have – like the dopeness and the wackness mentioned earlier – is the illogical nature of some of what we are expected to believe. Luke is a seasoned drug dealer to whom overt threats and having weapons pointed at him aint no thang, yet he claims to be bored and innocent. He and Stephanie seem in synch and share an easy chemistry, however they ultimately have issues over what I would view as trivial stuff. Some of the scenes are innocent and sweet, others confusing and disjointed. 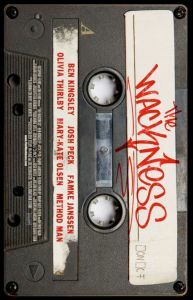 Ultimately though what left this film on the shelf, it is the fact that the film will only connect to people who were teenagers in the 90s. This would make them thirty or forty something now. Most people of that age are adults now, not just in age but in their actions. Even if they loved hip-hop then, there’s every chance they have moved on since. Hell, I was 19 in 1994, enamoured by hip-hop, and I remain so – and it took me the best part of a decade to find this film. I am inadvertently smack dab in the middle of the extremely small target demographic, and even I found it middling. When dopeness and wackness battle, it seems nobody wins. Final Rating – 6.5 / 10. Yo this film left me feeling neither here nor there yo!